Welcome to my Blog & thank you for stopping by. 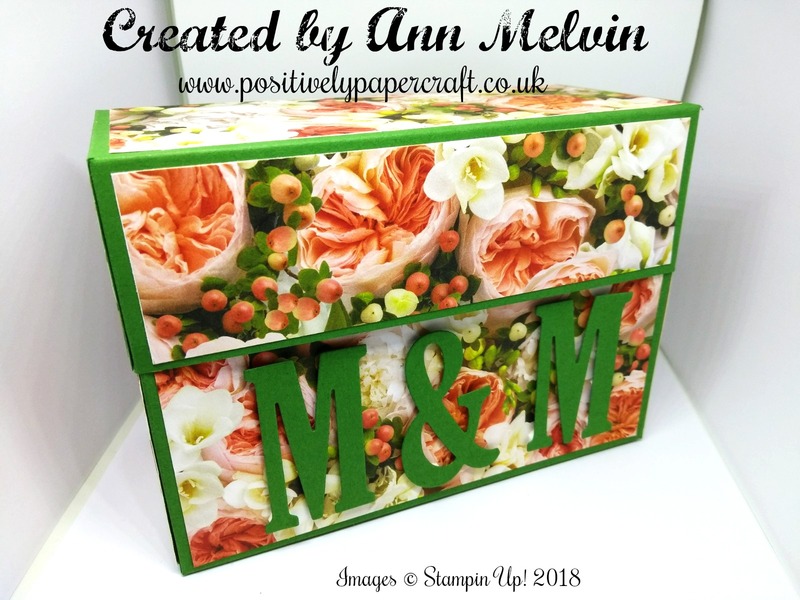 I came across this gorgeous Memories & More storage box on pinterest the other day & i new i had to make one! Well 2 actually. 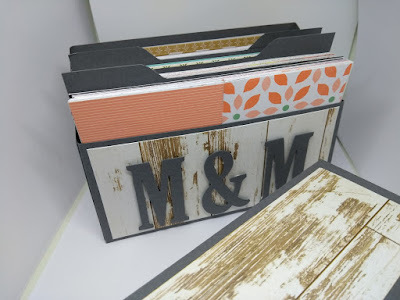 The Blog i found it on is called Honey Bees Stampin hive. You can find the link to the post on my YouTube Video. 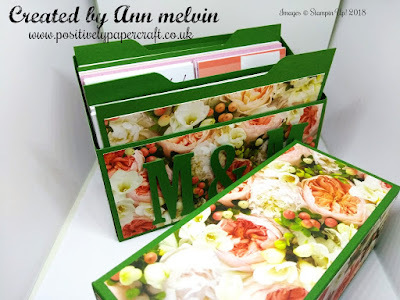 This is such a simple box to make and perfect for storing your Memories & More card packs. I thought it would be a great idea to use the large letter framelits to initial the box. i think it looks lovely. 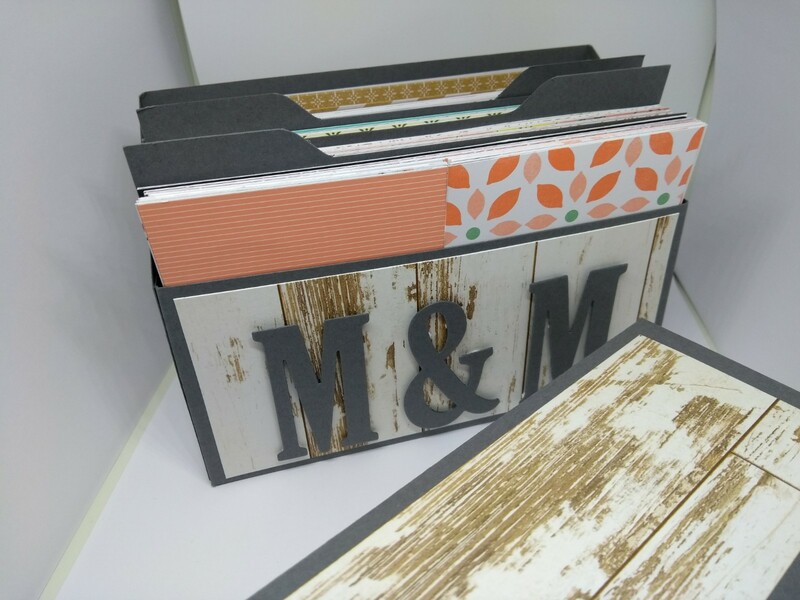 You will need the envelope punch board to make your file dividers. I have put 4 Memories & More card pack in mine but you will also get another one in if you wish. 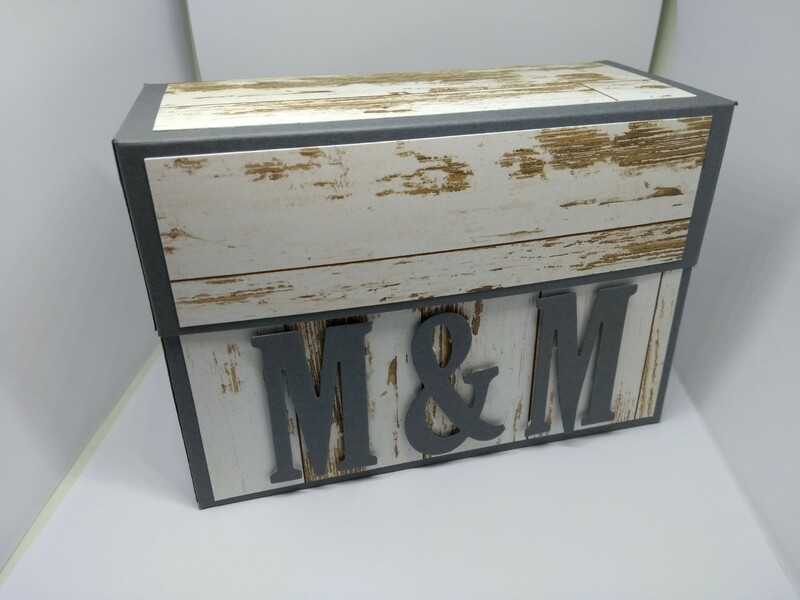 CARD FOR BOX BASE MEASURES 11 3/4" X 10"
SCORE THE LONG SIDE @ 2 3/4" & 9"
SCORE THE SHORT SIDE @ 3" & 5 3/4"
CARD FOR THE LID MEASURES 10 5/16" X 6 13/16"
4 X CARD MEASURING 6 1/8" X 5 1/2"
DSP X 4 MEASURING 5 5/8" X 3 5/8"
PUNCH ON THE EPB @ 2"
Please find all the products i used listed at the end of this post. You can purchase them 24/7 on my online shop. You will also find the link to my YouTube video at the end of this post.